See the location and address of Florianópolis Airport and check on a map the best route of access. Table of prices and rates of Hercílio Luz Airport parking lot. Find and compare prices of car rental companies at the airport and in Florianópolis. 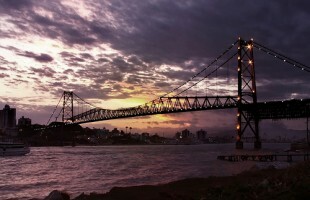 Find the best options for hotels near the airport of Florianopolis. Check services, shops and restaurants at Florianópolis International Airport. Information about airlines that operate domestic and international flights at the airport. The aeroportoflorianopolis.net not officially represents neither have any link with the Florianópolis International Airport or Infraero.